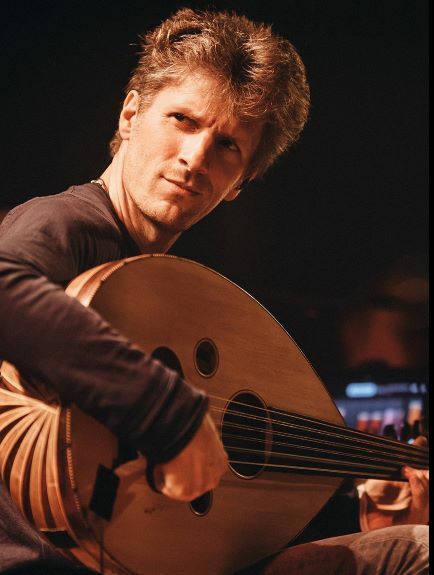 Belgian, of Jordanian – Yougoslav origins, Karim Baggili is a composer and self-taught guitarist and oud player. He performs regularly in Belgium and also abroad. Additionally he works on numerous projects as a composer or arranger for albums, documentaries and short films. After his last four albums Douar, Cuatro con Cuatro, Lea & Kash and Kali City released by homerecords.be, Karim released a new album, “Apollo You Sixteen” under the label Take The Bus. As a follow up to his fifth album “Apollo You Sixteen” released last year, he presented his new CD “Apollo You Sixteen (Part II) in exclusivity at L’Ancienne Belgique on the 28th of October 2017. He’s now on tour with the Apollo You Sixteen Duology. Karim is a generous, passionate and a surprising artist! 2000 – Winner of the first prize at the “Open String Festival” in Osnabruck, Germany. 2011 – Nominated at the 10th Independent Music Awards – Best Album for Lea & Kash. 2016 – Karim has been nominated for the Sabam Awards, category Best film Score for “Waiting for August” by Teodora Mihai.